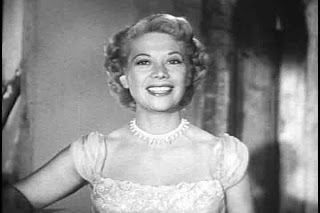 A talented radio singer who found her greatest success on television, Dinah Shore was born as Frances Rose Shore on March 1, 1917 in Winchester, Tennessee. When still an infant, Franny’s family moved to Nashville, where she contracted polio at two. Only through intense physical therapy did she regain use of her legs. The experience left Franny with two lifelong characteristics: a passion for athletics and a drive to succeed that helped fuel her career. Wearing her older sister’s party dress, 14-year-old Franny lied about her age to make her singing debut in a Nashville nightclub. Unknown to her, her parents were in the audience. At their insistence, she put her singing ambitions aside until, as a sophomore at Vanderbilt University, she gave her first radio performance on Nashville’s WSM. After graduating with a degree in sociology, Shore moved to New York City, where she found occasional work in radio. On auditions, she often sang the song “Dinah,” making her so identified with the name that she adopted it as her own. Shore’s early radio performances caught the attention of bandleader Xavier Cugat. In 1939, he arranged for her to make her first recordings with RCA Victor. Initially, Shore sang in a bluesy, sultry style that earned her comparisons to ETHEL WATERS. As her career progressed, however, her singing became much more fast-paced and sunny. She later attributed her longevity less to her singing talent than to her ability to adapt to changing public tastes. 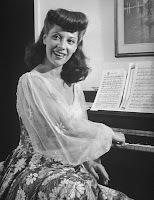 In the 1940s, Shore tried to parlay her success as a singer into a new career in Hollywood. There, she met and married actor George Montgomery in 1943. After appearance in several lackluster films, she had a nose job and dyed her brown hair blond. Her Hollywood makeover did little to boost her movie reputation. In 1952, she gave up trying to achieve fame in films. Shore decided she was not photogenic enough for movies. Her failure, however, was probably partly due to the fact that scripted films were poor showcases for her natural, unstudied charm. 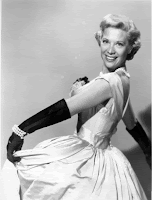 Her talents were much better suited to television, on which she started to make regular appearances in 1950. The next year, she was given her own 15-minute variety show. The popular program, expanded to an hour-long format in 1956, was sponsored by General Motors. Shore’s rendition of “See the U.S.A. in Your Chevrolet” became one of advertising’s most recognizable jingles. Following her 1962 divorce from Montgomery, Shore left her career to concentrate on caring for her two children, Melissa and John. She married again in 1963 to tennis star Maurice Fabian Smith, but the marriage lasted less than a year. Slowly, Shore was lured back to television, first in the late 1960s for a series of specials for NBC, then in 1970 for a talk show initially titled Dinah! A pioneer of the talk show genre, Shore discovered that it played to her strengths. An easy-going conversationalist with a lilting southern accent, she seemed the consummate hostess, able to strike up interesting banter with celebrities of all backgrounds. The show often highlighted her own interest in cooking, which she parlayed into three successful cookbooks. It also stirred up unexpected controversy when she began dating film heartthrob Burt Reynolds after he appeared as a guest. Tabloid accounts of the May–December relationship did little to diminish Shore’s wholesome reputation. Most likely, her viewers, many of whom were older women, quietly enjoyed the ability of the ever youthful-looking Shore to attract a handsome star almost 20 years her junior. Shore’s last daytime show went off the air in 1984, but she hosted various shows on cable’s Nashville Network from 1989 to 1991. She then largely retired from public life, only appearing occasionally at women’s golf tournaments. 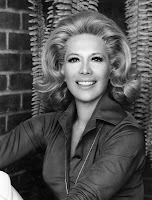 On February 24, 1991, Dinah Shore died of cancer at her home in Beverly Hills with her children and ex-husband George Montgomery at her side. Cassiday, Bruce. Dinah! : A Biography. New York: Franklin Watts, 1979. Sochen, June. From Mae to Madonna: Women Entertainers in Twentieth-Century America. Lexington: University Press of Kentucky, 1999. Dinah Shore: Sealed with a Kiss. A&E Home Video, VHS, 2000. 16 Most Requested Songs. Sony/Columbia, CD, 1991. 16 Most Requested Songs: Encore. Sony/Columbia, CD, 1995. Till the Clouds Roll By (1947). Warner Home Video, VHS, 1990.